On Aug. 28, 2012, during the 22nd Martian day, or sol, after landing on Mars, NASA’s Curiosity rover drove about 52 feet (16 meters) eastward, the longest drive of the mission so far. The drive imprinted the wheel tracks visible in this image. 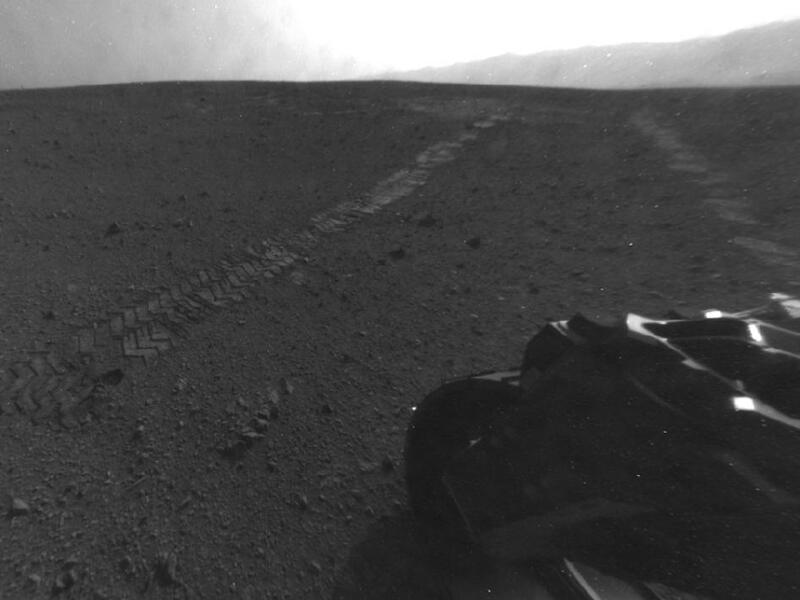 The rover’s rear Hazard Avoidance Camera (Hazcam) took the image after the drive. Curiosity’s front and rear Hazcams have fisheye lenses for enabling the rover to see a wide swath of terrain. This image has been processed to straighten the horizon.